The Twinsie Tuesday group were painting chevrons a fortnight ago (gosh, I’m late with this post!). 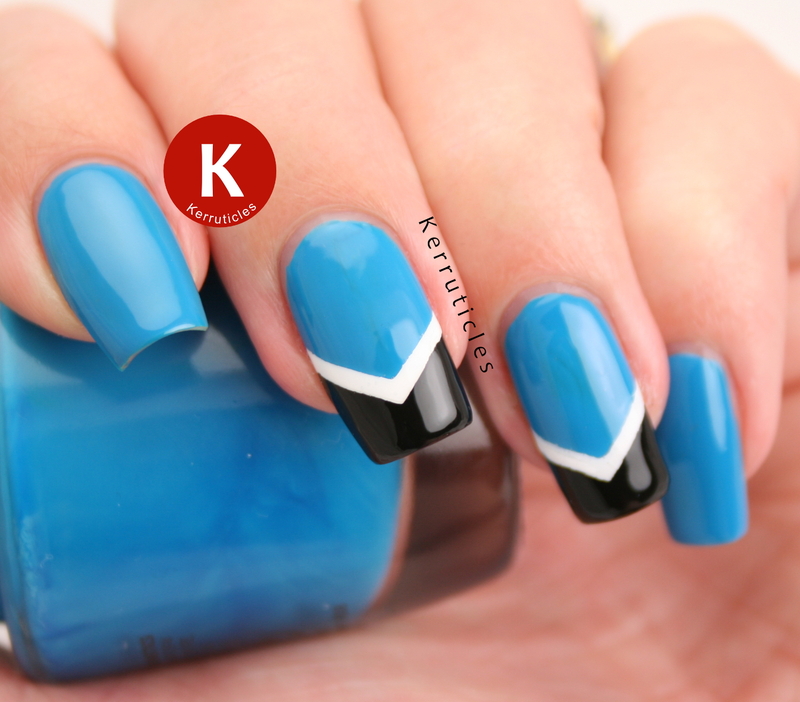 These blue, white and black chevrons started out in my head as blue, silver and navy. But when I was just about to start on them, having already painted the base blue colour, I remembered these navy, silver and blue fishtail chevrons and thought that what I was about to paint was far too similar to them. So I tweaked the colour scheme a little and they became blue, white and black instead. The base blue is Morgan Taylor West Coast Cool. It’s such a bright and striking blue; I just love the colour. 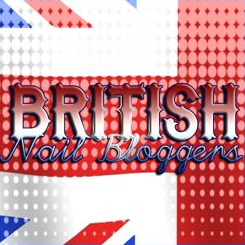 I don’t organise my swatches by colour – I just add them to nail wheels as I buy them. 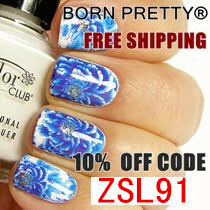 So I don’t know for sure, but I expect if I double-checked that I would have ten bottles of polish in this colour or very similar. It’s one I always seem to pick up – my Achilles heel of a nail polish colour. I added the white and black using Nail Vinyls, as I didn’t trust myself to get the lines straight. I had to remove this almost as soon as I had finished it as I had an event to go to the next day and my outfit wasn’t going to match the blue. But I had worn the blue on its own for a few days, so got to enjoy it that way. 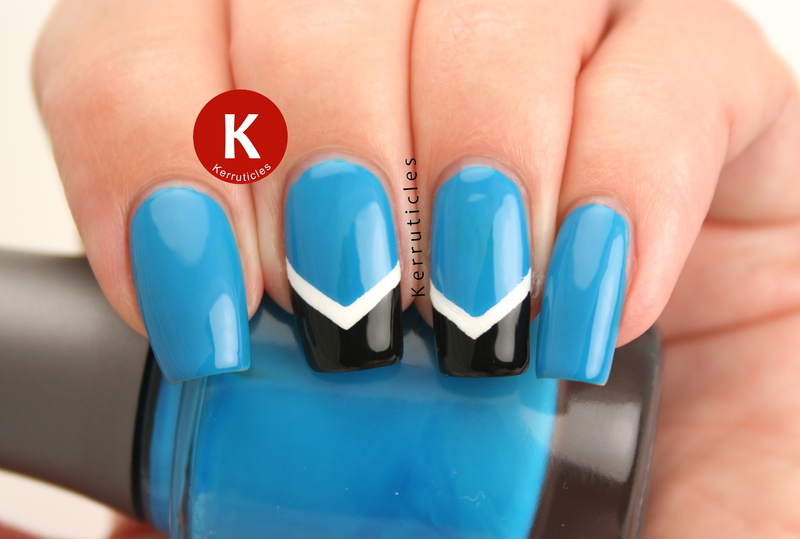 Nice pairing of colors in this chevron manicure! Love it.